Philadelphia Flyers' newest mascot, Gritty, debuted to mixed reactions on Twitter on Sept. 24, 2018, but the mascot had plenty of sass to toss back at his critics. He seems to be Kim Kardashian's fan too. South Florida, you have made it to the middle of the work week – and NBC 6 has the top stories you need to know for Wednesday. Weather wise, a warm start to the day will give way to a drier afternoon across the area with high temperatures near 90 degrees. Osmerley Hernandez was taken into custody early Wednesday and charged with two counts, including armed burglary for which the 41-year-old is being held with no bond. Investigators say Hernandez was seen stealing tools from inside the construction site off Monad Terrace before later being confronted by a worker. At that point, police say Hernandez hit the man with a hammer and showed a firearm before dropping the stolen tools and fleeing the scene. A cat that tested positive has caused on section of the city to be under the alert until November 24th, becoming the latest area of Miami-Dade County to be under such an alert after raccoons in the Kendall area has had that area under a watch for several months and is scheduled to go through November 16th. After going away for a few days, the system gained enough strength to be reclassified as a tropical storm Wednesday morning – but is expected to take a path that will keep it far south of Puerto Rico and the United States before weakening again. Dunkin' is dropping "donuts" from its name as the chain focus on beverages, which account for 60% of sales – with coffee being the overwhelming majority of that. However, the company says doughnuts will remain a significant focus. 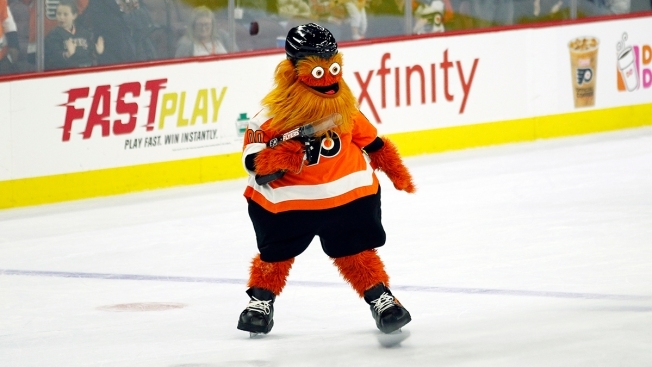 The Philadelphia Flyers have a new mascot and "its" name is gritty. We say "it" because we have no idea what it actually is, besides weird. But it may take a little time for the average Flyers fan to warm up to the scruffy, googly-eyed creature.